To celebrate the release of the Random Acts of Kindness anthology today, some of the authors will be sharing with you a little glimpse behind each of their stories. Hi everyone! Thank you for stopping by. My name is Indra Vaughn and I’m here to talk to you about the Random Act of Kindness Anthology, specifically the story Two For Joy. The tale takes place in the city of Lincoln, UK. I actually lived there for three years before I moved to Cambridge, and absolutely loved the small city so I’ve been waiting for an opportunity to use the setting. The view of the cathedral when you drive into town is breathtakingly stunning. 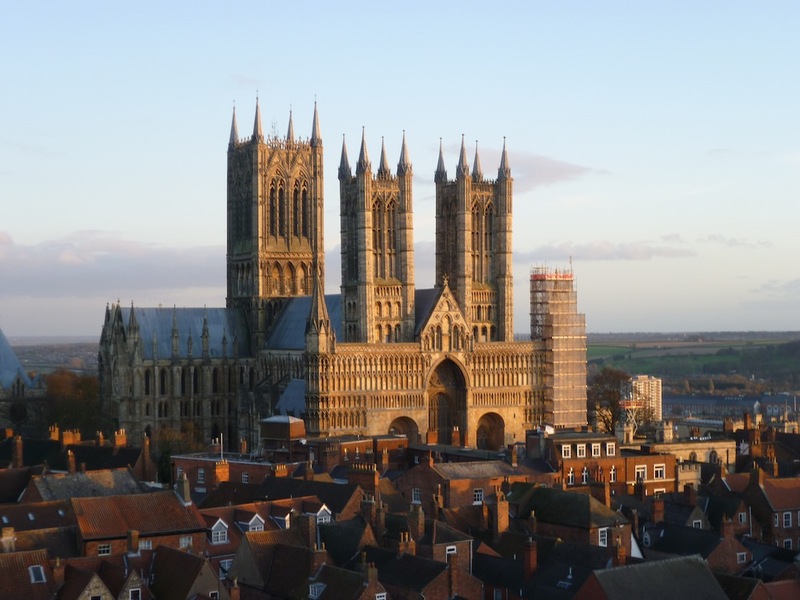 When Matt, the main character in the story, arrives in Lincoln he’s a bit too overwhelmed to notice how beautiful the place is, though. He just got in from Belgium, only to find out the university doesn’t have the promised dorm room for him, so he’s homeless! He tries to find another place to live but has no luck until a gorgeous, tall British guy kindly offers to help him out. Matt quickly finds himself embraced by a slightly odd English family, and loves it. So in a way Matt is my little tribute to her. His prosthetic leg is there, and it’s completely normal as far as he’s concerned, and if people want to stare at it that’s their problem. Apart from Gran. Gran doesn’t mince her words and he loves her for it. I hope you like this little story and I’d love to hear any and all feedback from you. With me here is Lane Swift, whose story also takes place in England, but I’ll let her tell you all about it. We’re actually good friends, and I am absolutely thrilled that she’s in this anthology too. You will love her story guys, it’s absolutely amazing, and I hope it will serve as an introduction to other amazing things to come from Lane! Hi! I’m Lane. Yes, Indra and I became friends when I lived in the USA, and have stayed friends even though I’m back in the UK now. Europeans have ways of finding each other, no matter what part of the world they’re in! I’ve read her story, and I know you’ll love it. 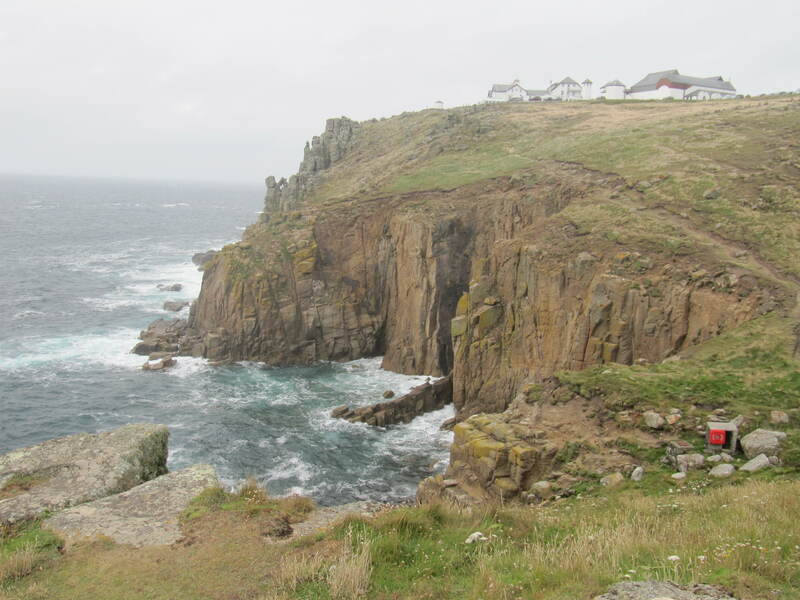 Land’s End is a rugged headland in Cornwall, England, characterised by high granite cliffs and crashing waves. It’s the most westerly place in mainland England. According to the font of all knowledge that is Wikipedia: Land’s End has a particular resonance because it is often used to suggest distance. Land’s End to John o’ Groats in Scotland is a distance of 838 miles by road and this … distance is often used to define charitable events such as end-to-end walks and races in the UK. In The Blue Umbrella, Andy Haynes, dying of cancer, completes what he believes is the final leg of his journey from John o’Groats to Land’s End. However, when he meets Vik, while sitting on a bench on the headland, he discovers his journeying isn’t quite over. Me: What did you think when you first saw Andy, sitting alone on a bench looking out to sea? Vik: I couldn’t see his face at first, but from the way he sat, he seemed sad. I wasn’t sure whether to approach him. I thought maybe he wanted to be alone. Something inside urged me to go ahead though, and I’m glad I did. When I spoke to him he looked at me and, although I could see he was unwell, he was still striking. Some people have that, don’t they? The ability to capture your imagination with just a look or a smile. That was definitely Andy. Me: So you offered Andy your umbrella because you fancied him? Me: What would you say to anyone who doesn’t believe a story with a dying man can have a happy ending? Vik: Believe! Cornwall is a place of wonder and magic. Anything is possible. Indra Vaughn Author Page Here. Lane Swift Author Page Here. Check out Random Acts of Kindness here! Hi Indra, I took had a friend with the same congenital amputation. She too amazed me, as she was almost as fast as me on a computer! I love stories with nontraditional MCs and both your and Lane’s story sound great! Hi Susan. Thanks for stopping by! It’s amazing how resilient human beings can be. It’s something to be admired, I think. My friend was an awesome kid and I wish I still knew her as an adult but our paths went in opposite directions a long time ago. I hope you enjoy the stories if you decide to check out the anthology.